This Museum Collection wall tapestry shows the famous painting Peasant Wedding by Pieter Bruegel the Elder (1525 – 9 September 1569) was a Netherlandish Renaissance painter and printmaker from Brabant, known for his landscapes and peasant scenes (so called genre painting). 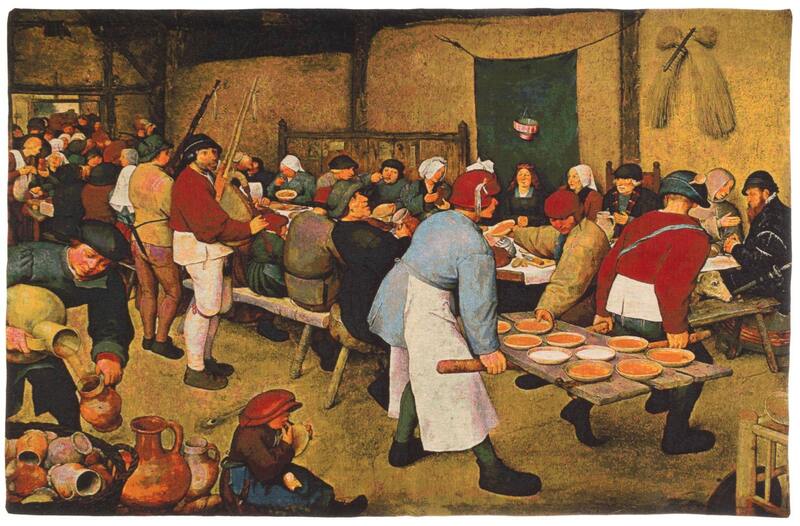 He is sometimes referred to as the "Peasant Bruegel". From 1559, he dropped the 'h' from his name and signed his paintings as Bruegel. Love this tapestry by an old concern. Well packaged, sent by Fed Ex.